After Federer beat Frances Tiafoe 6-4, 6-1 in the men's singles, Williams overcame a sluggish start to defeat Belinda Bencic 4-6, 6-4, 6-3 and keep alive U.S. title hopes after an opening Group B loss to Greece on Monday. 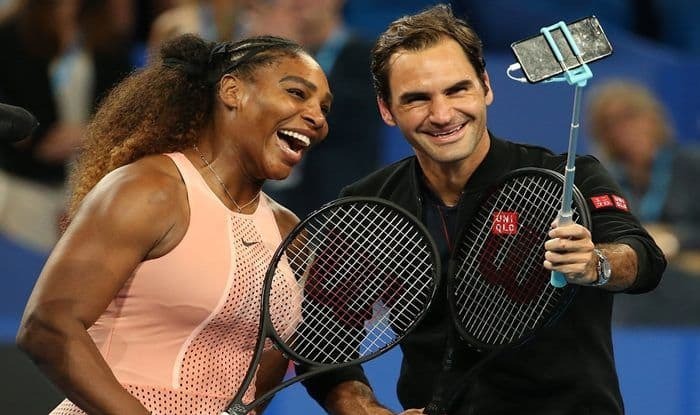 Roger Federer and Serena Williams opened the New Year with wins at the Hopman Cup on Tuesday to add spice to their showpiece mixed doubles game with defending champion Switzerland and the United States level at 1-1. After Federer beat Frances Tiafoe 6-4, 6-1 in the men’s singles, Williams overcame a sluggish start to defeat Belinda Bencic 4-6, 6-4, 6-3 and keep alive U.S. title hopes after an opening Group B loss to Greece on Monday. The result ensures the eagerly awaited mixed doubles pitting Federer and Williams against each other for the first time will decide the rubber. It is Williams’ first tournament since an angry confrontation with the umpire at the U.S. Open final in September and she has won both her matches in unconvincing fashion. “It’s a relief. She played really well but I knew that I could play better,” Williams said. The 37-year-old Williams started fast with an early break to storm to a 3-0 lead before an error-strewn performance ensued as Bencic recovered to win the opener. Earlier, the 37-year-old Federer was made to work during a tough first set before overwhelming the 20-year-old Tiafoe and taking control of the contest by winning seven straight games. “I played another good match. I’m really happy,” Federer said. “It is a great start to the season for me. I made sure I kept focused on my serve and he gave me some errors at the end of the first set.” Switzerland swept Britain in its opener when Federer had a masterclass win over British player Cameron Norrie in his opening match. Federer has lost just seven games in his first two matches of the round-robin tournament. A tight opening set on Tuesday saw both players dominant on serve. The 39th-ranked Tiafoe held his own with impressive power on the baseline before his game crumbled in the back end of the first set. Federer found his groove in a scintillating second set with the 20-time Grand Slam singles champion unleashing several trademark backhand winners. He broke a beleaguered Tiafoe three times to issue an ominous early statement to his rivals.